Did you know that in 1986, President Reagan eliminated student loan interest as a tax deduction. For 10 years, student loans were not deductible until President Clinton once again allowed the interest to be deductible in 1997 (Forbes). However, Clinton only allowed the student loan interest to be deductible for the first five years the loan was in repayment; in 2001, the law was changed to allow the interest to be deductible for the life of the loan. Then in 2007, President G. W. Bush, reduced the student-loan interest rate from 6.8% to 3.4%. The US has the 2nd highest number of higher education students in the world—4.75% of the total population. The U.S. Department of Education shows 4,861 colleges and universities with 18,248,128 students in 2007. However, the median cumulative debt among graduating Bachelor’s degree recipients at 4-year undergraduate schools was $19,999 in 2007-08 and 65.6% of 4-year grads with BA degrees took out student loans, which means 34.4% did not. Of the 9 million that borrowed, one-tenth (900 thousand) borrowed $44,668 or more, which means 90% (more than eight million students) borrowed less. Graduate and professional students borrowed more, with the additional cumulative debt of a graduate degree typically ranging from $30,000 to $120,000. How many borrowed the most? If you recall, my $7,000 student loan in 1973 had the same buying power as $36,178.96 in 2012, and I paid it off in a decade by eventually working two jobs for three years. How about those medical students graduating as doctors with all that debt? Do you think they will earn enough to pay off his or her student loans? I’m really feeling sorry for these poor, suffering MDs. Maybe we should all chip in and help them pay off those student loans so they will have more money to spend on bigger houses and fancier cars. In addition, I found this revealing: less than half a percent (0.05%) of those who graduate from college have student loans above $200,000—that means 99.5% do not. This may sound callous, but I do not feel sorry for these people. I paid off my student loans and so can they. In conclusion, there is one more comparison that must be made. In 1980, the average credit-card debt in America was $670 per household, but today that number is up to $7,800 (per household)—an increase of more than 1,160 percent. If we factor in inflation, that $670 would be $1,875.90 today—not almost $8,000. In 1980, credit card debt was less than 4% of household annual median income. That number is16% today. In fact, in 1980 through 1994, the US saving rate averaged 8%, but in 1976, the personal saving rate was 12%. However, in October 2011, that saving rate was at 3.6%. Where do you think America’s so called debt-ridden college students learned to borrow to get what they want? If the nation lets young Americans (or their parents and/or grandparents) off the hook for that student-loan debt, these people will never learn. Larry Summers cites in his debate with Amy Chua that Bill Gates and Mark Zuckerberg dropped out of Harvard emphasizing what those “two” achieved without a university education. While Gates was building Microsoft and Zuckerberg Facebook, do you believe these two billionaires spent ten hours a day doing what the average American child (raised by SAPs such as Summers) does to enjoy the first quarter of his or her life? Summers doesn’t mention that Warren Buffet, one of the richest men on the planet, attended the Wharton Business school at the University of Pennsylvania for two years then transferred to the University of Nebraska-Lincoln. Working part time, he managed to graduate in only three years. Summers doesn’t mention that it is common that the top one percent of executives with annual incomes of $500,000 or more often have Ivy league educations from universities such as Stanford, Harvard, Yale or Princeton. Summers doesn’t mention that the top 15% of the upper-middle class are highly educated and often have graduate degrees while earning a high 5-figure annual income commonly above $100,000. To be specific, the median personal income for a high school drop out in the US with less than a 9th grade education is $17,422, and with some college that medium income jumps to $31,054, while a person with a professional university degree earns an annual medium income of $82,473. Source: Wiki Academic Models (this source was citing US Census data). It’s okay if Summers and his fellow SAPs let their children and teens have fun the first eighteen years of life, but don’t forget, the average life span in the US is 78.3 years. What are those children going to do for enjoyment while working to earn a living the next 60.3 years as an adult? 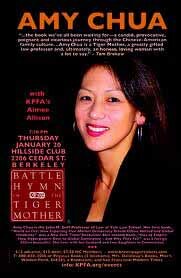 Most children raised by Tiger Moms such as Amy Chua shouldn’t have to worry. Those children (as adults) will probably be in the top 15% of income earners and enjoy life much more than those earning less than $18 thousand annually. I’m sure that Amy Chua had no idea she was about to light a Baby Boomer fuse that would explode when she wrote her essay published in The Wall Street Journal about Why Chinese Mothers are Superior. Starting in the 1960s, the Boomers also gave birth to the narcissistic, self-esteem generation. When Amy Chua’s memoir, Battle Hymn of the Tiger Mother went on sale, my wife and I went to the local Barnes and Noble and bought a copy. It took us more than a week to read the book. My wife went first. 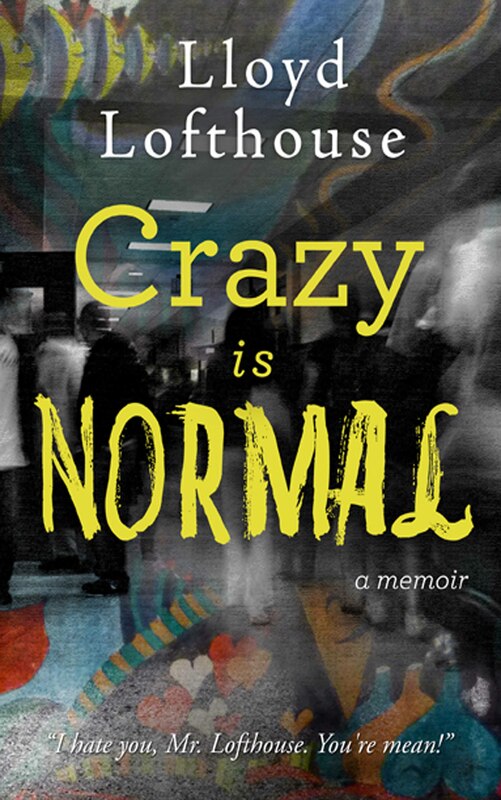 However, the morning that Chua’s memoir went on sale, dozens of one-star reviews appeared on Amazon.com condemning the book before anyone had time to read it. Later, Amazon.com deleted many of these critical reviews that were bitter, caustic, personal attacks on Chua’s parenting methods and had nothing to say of the memoir. It was obvious that most if not all of those early one-star reviews were based on the essay in The Wall Street Journal. Nancy (not her real name), who works for Barnes and Noble (where we bought a copy of the memoir), told us of an experience she had substitute teaching in a girls P.E. Class. She said there were about 150 girls. Half were Asian and half were Caucasian. When Nancy told them to sit and read or do what they wanted, the Asians took out books and studied. The Caucasians started to text, do makeup and gossip. Studies show that the “average” American Boomer parent talks to his or her children less than five minutes a day and more than 80% never attend a parent-teacher conference. Boomer parents are so self-absorbed with other interests that TV, the Internet, video games and other teens become substitute parents to their children. However, when most Chinese mothers (or Asian American) come together, their conversations focus on their children and education, which explains why studies show Asian-American students have the lowest incidence of STDs, teen pregnancy, illegal drug and alcohol use and the highest GPAs, graduation rates from high school and highest ratio of college attendance. What do you think the “average” Caucasian Boomer mothers talk about when they get together? A close friend of mine, who isn’t Chinese, read Amy Chua’s essay and many of the comments attacking Chua for her tough stance as a mother. He said it is obvious that Chinese mothers love their children and American mothers don’t because love means sacrifice.